People often talk about temporary buildings in terms of structures that can be erected quickly and without plans. Some people go so far as to opt for what is advertised as a “temporary building” because they think it will provide a cheap, quick and easy solution to the need for additional space – either at home or at work. But if you want to erect a temporary building, first of all you need permission to do so, and secondly, you will have to demolish or dismantle it within the time frame that is deemed to be “temporary” for that particular structure. While the National Building Regulations (NBR) do allow for “temporary buildings”, they are very specific in terms of requirements and permissions. These requirements are incorporated in SANS 10400-A: 2010 General principles and requirements. The National Building Regulations are not intended to be restrictive, or to make it difficult for people to build. 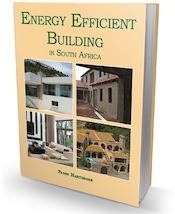 The regulations are also not intended to be a handbook on good building practice. Rather, they have been carefully compiled by experts in the construction industry to ensure that our homes, offices, hospitals, shops and other buildings are safe and hygienic. This applies not only to permanent structures but to temporary buildings as well. Each part of SANS 10400 The application of the National Building Regulations has a list of definitions at the start, that relate specifically to that particular part – this is in addition to the glossary that appears in the National Building Regulations and Building Standards Act. In Part A, the term temporary building is defined as: “any building that is so declared by the owner and that is being used or is to be used for a specified purpose for a specified limited period of time, but does not include a builder’s shed“. The fact that it states that an owner has the right or ability to declare a structure a temporary building doesn’t mean that property owners may simply erect them without permission from the local authority. Even though builder’s sheds are in fact temporary structures, they are so common they are dealt with separately, in Part F: Site operations. The erection of all buildings and structures are subject to the provisions of a number of laws, not only the building regulations. However plans and permissions are handled by each local authority (municipality, council or city) in terms of the NBR. Minor building work does not require plans, but even this must comply with any NBR that are specified as a condition of the authorization that is granted by the building control officer. (iii) the availability of suitable materials from which it may be constructed. The plans and particulars required for temporary buildings are detailed in Regulation A23 of SANS 10400-A. This regulation is titled Temporary Buildings. When the local authority receives an application to erect a building that the owner (or applicant) has declared to be a “temporary building”, the local authority is permitted to “grant provisional authorization” for the applicant to go ahead and erect the building provided any conditions or directions are complied with. If the local authority gives permission for the erection of a temporary building, it will be for a limited period of time – and this will be stated on the authorization document. There is a clause in this part that gives owners the right to apply for one or more extensions of this initial period of time. However they must submit any additional plans and details that may be required no later than the last day specified on the authorization document. In addition, the owner must submit an affidavit that states that the building has been erected in accordance with the plans and details mentioned above (if these were required by the local authority). If members of the public are going to have access to the temporary building, each and every request must include a certificate that is signed by an approved competent person that indicates that the structure is safe. If the local authority requires additional plans and details and these are not submitted, or if the local authority does not approved the temporary building, then the owner will have to either remove or demolish the structure. Normally, if a building has been – or is being – erected without prior approval by the local authority, the local authority may serve a notice on the owner demanding that approval, in writing, is obtained by a specific date. They do not have to serve such a notice if the building is “temporary”. Anyone performing work that is connected with erecting or demolishing a building is permitted to erect a temporary builder’s shed or sheds. Part F of SANS 10400 states that both the construction and location of these sheds must be in keeping with the requirements of the local authority and they must be properly maintained. Further, they may only be used for a purpose that is directly connected to the building or demolition operation. If builder’s sheds are not built, located or maintained properly as required, the local authority has the right to demand that the owner or person responsible, moves, rebuilds or repairs the shed within a specified time period. If it is being used for another purpose not connected with the building operation, they can demand that this “unpermitted use” stops immediately. While builder’s sheds are not intended for habitation, the building regulations do state that security personnel who are employed on the site may be accommodated in builder’s sheds, “subject to such requirements and conditions as may be necessary for the safeguarding of public health and the health of such personnel and for avoiding nuisance or inconvenience to persons in the vicinity of such building”. Once building and/or demolition work is complete, the shed or sheds must be removed from the site. We live in Melville, Johannesburg, and would like to place a shipping container in the back yard for storage purposes. Do we need a permit/ approval ? Hi Inneke, all local councils have their own sets of rules and they are not all the same around the country. The best is to contact your local council planning department and ask them what their specific requirements are. Maybe speak to a building inspector. I’m planning on building a personal studio, the size would be around 4x5m . do I need plans? I’m planning on using dry wall . What are the rules related to caravans and trailers? Can a caravan be parked on land and lived in without requiring plans? A large trailer? Does the having of wheels on the structure make a difference? Thanks for your help! 1. Just decking without any roof – not attached to a dwelling – just standing on its own. Or a paved area also not connected to a dwelling. 2. Decking / paving as above with a safari tent or some other kind of flexible canvas roof and walls on it. 3. Just a safari tent / large canvas thing / yurt standing on the ground. 1. Plans not required – as long as the deck is low level. Not required for paving. 2/3. Canvas tents don’t require plans. Caravans and trailers are not governed by the building regulations. This would be something that would be legislated by bylaws … and since you are in a rural/agricultural area, who would worry? Trailers are not covered in the building regulation. If you were to take the wheels off and use it as housing, you would then need to comply – I assume you would need an Agrement Certificate. But I think you will find more in the bylaws. Are bedouin tents erected for weddings or as shelter for audience at music concerts considered to be temporary buildings and are they governed by the Building Act? They are not covered by the NBR. Normally they would be covered by local authority by-laws that relate to events. I would like to put up a tempory structure as placeof worship to seat max of 500 people on rented piece of land. What is require and what max period can tempory be in this regard 5years ? I think the article on this page give comprehensive information about what a temporary structure is and what is and what isn’t allowed. I have absolutely NO DOUBT that you could NOT use a temporary structure to seat 500 people – or even 50 people – without a whole lot of licenses from the local authority. Thank you for a awesome site. There are no specific rules and regulations for different types of buildings. The National Building Regulations – and SANS that relate to them – relate to all. There are, though, sections within several of the different parts, that deal with timber floors, walls etc. But you have to wade through all the regs to find what applies. Hi. Thanks for this great informative site. Just wondering what the regulations are for safari tents? These are not covered by the National Building Regulations. Contact the SABS to see what standards apply to these tents. What kind of permission would be required to build a large shed (corrugated iron and gum pole) that would be used for events and not as living quarters. Perhaps the poles could be planted in the ground and the floor done with paving bricks instead of screed so there need be no foundations. Can you advise please. Any structure erected on any property in South Africa must have plans submitted and approved before building starts. Whether it has foundations or a concrete slab as a floor has nothing to do with it, it will be a covered structure, even a cow shed needs plans to be approved before building starts. I would like to build homes for my workers on the farm , but the municipality would not allow any more permanent structure to be build. With container homes that are not permanent structures, what is the building requirements around putting up container homes? Could you please email me the building regulations? Any type of “home” is considered permanent Bernardt. And if you read the content on this page you will see that you require permission from the municipality for temporary structures – plus they are only permitted to be kept for a temporary period of time. To make a container into a home of any kind you need approved plans as well as an agrement certificate. What are the bylaws regarding temporary scaffolding stuctures.? and what sort of paperwork would i have to submit to erect these structures on either government or private property? Henkes, I don’t know about bylaws (you will have to talk to the local authority about that), but SANS 10085-1: 2004, The design, erection, use and inspection of access scaffolding Part 1: Steel access scaffolding specifies different types of scaffolding as well as safety procedures, necessary inspections by qualified personnel, control of scaffolding operations and so on. Your local authority will advise what paperwork needs to be completed. I just want to know that what are the duties of the building inspector at a Municipal level? Thami these are not defined by the National Building Regulations. But essentially municipal building inspectors inspect construction sites and completed buildings to ensure that they comply with the regulations and local by-laws. Does the temporary legislation buildings pertain to Parkhome type structures. Dorian, the temporary legislation applies to the whole country and ALL structures. Penny, I don’t think it does as a building inspector told me that people in Oakdale, Bellville can do as they like eg. they build garages right on the front border, erect temporary buildings right up against front boundry walls. However, if you live a road away, but fall under a different area in Bellville, you are not allowed to do so? Riva, That is rubbish. The City of Cape Town bylaws apply to the entire City – and that includes all parts of Bellville. Officially they also apply to informal settlements too, though this is never enforced – but I believe legislation will change quite soon. Masonry Arches Are Drywalls Destroying the Environment?